Facebook is great platform to socialize with your friends and family and at the same time it also doubles up as a platform to share your pictures and videos. The benefits of Facebook are many but there are even a few annoyances. 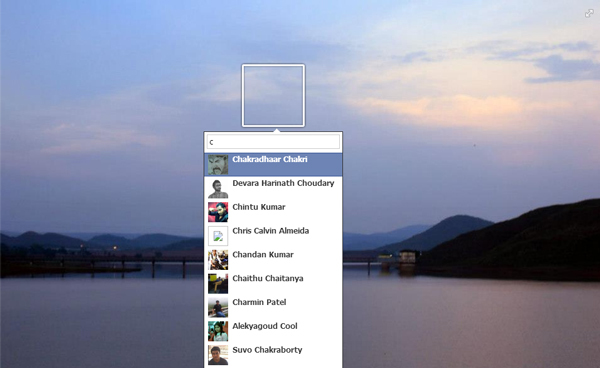 If you are a frequent Facebook user, then would have come across many friends who just randomly tag anyone they can. Well its a good thing to tag your friends but getting tagged on a inappropriate photo is something that might embargoes you. To be frank Facebook’s tag feature has gone out of control, without your permission anybody can tag you on a photograph, which is something that annoys me a lot. Generally not every photograph may be appropriate for you and to add to that, whenever you get tagged on a photograph, Yours friends and family members will be able to view it too and by any chance if you get tagged on an inappropriate photograph then its going to be a huge embarrassment for you. Fortunately Facebook allows you to control the tag feature. While you will not be able to stop anyone from tagging you, but Facebook allows you to review each and every photograph that you are tagged in and lets you decide whether you want to approve of it or not. Further in case you completely want to disable photos from appearing from your timeline then Facebook will even let you do that. So if you think any photograph you are tagged in is inappropriate, then you can easily disapprove the tag before the photograph appears on your timeline. Here’s how you can review every photograph that you are tagged in before it appears on your Facebook timeline. 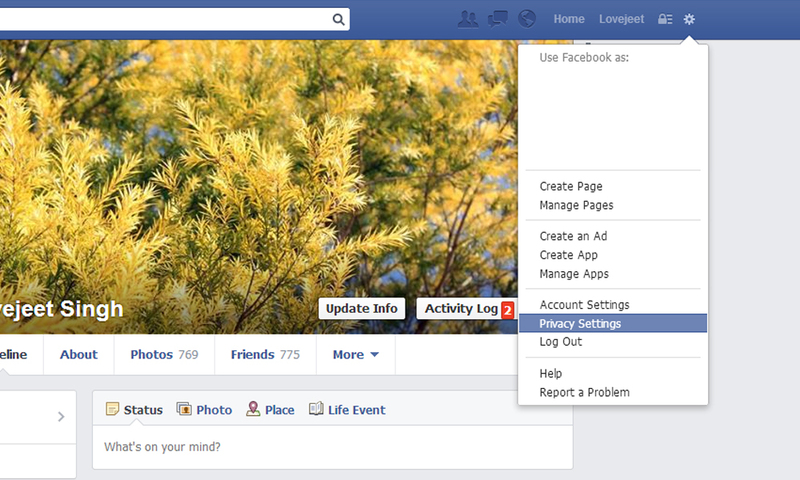 Step 1: Log into your Facebook account, click on the Cog Icon and select Privacy settings. 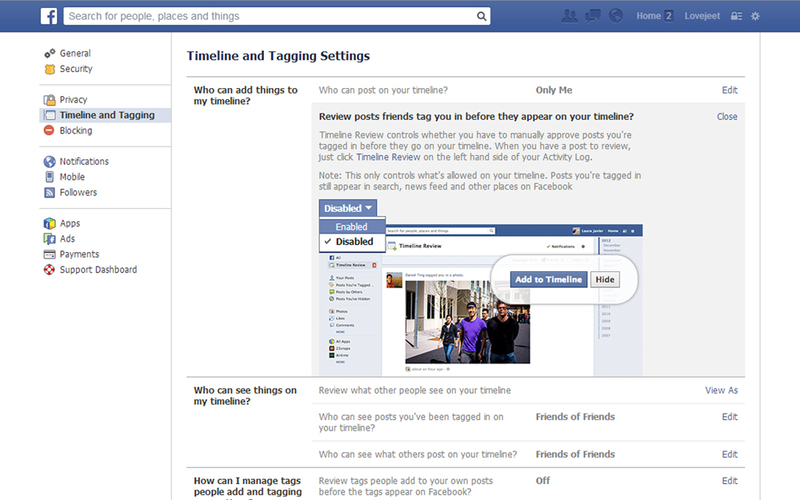 Step 2: On the privacy settings page click on Timeline and tagging to the left. Step 3: Click on Edit Besides Review posts friends tag you in before they appear on your timeline? Step 4: Next click on the dropdown menu and select Enable. Now every time any of your friends tag you on a photograph or video, the tagged photo or video won’t be shared on your timeline unless you approve it. But there’s a bummer too, According to Facebook the tagged photo or video might not appear on your timeline but it might appear elsewhere. In case you want to completely disable others from viewing photos that you are tagged in, the instructions below will help you out. Fortunately you can even control who can view the photos and videos that you are tagged in. Here’s how you can control who can see the photo and videos you are tagged on. Step 1: Once again go to the Timeline and tagging settings. Step 2: Click on edit besides Who can see posts you’ve been tagged in on your timeline? Step 3: From the drop down menu that appears select from the group that’s you want to view the photo and videos that you are tagged on. Step 4: In case you want to allow specific people to view your tags then click on Custom and add the people to the lists provided. That’s it, now every time you get tagged, the tags will only appear to your friends whom you have added on the list of allowed friends. I am sure these two settings above will help you to control Facebook tags to an extent that is possible by using the settings provided by Facebook.